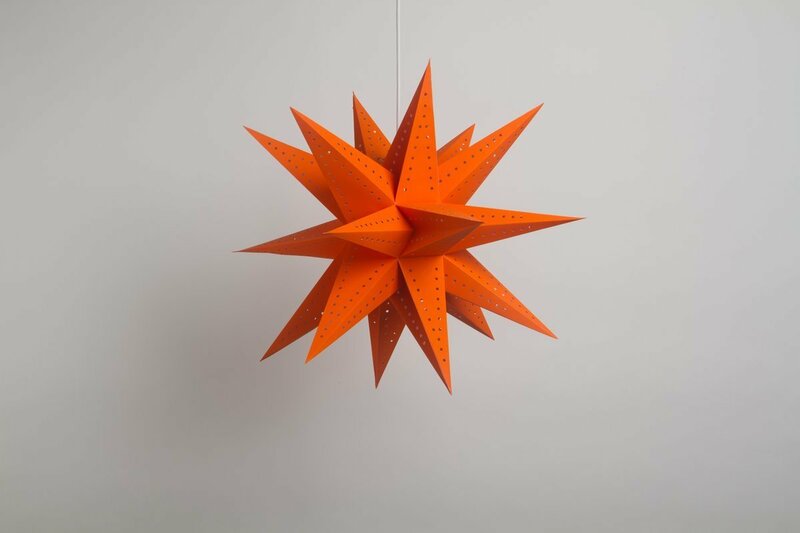 Dramatic and explosive, Supernova Orange is an 18 tipped 3-dimensional light shade in a deep warming orange. With its moody glow, this handmade lampshade makes a bold and atmospheric design statement for a bedroom, party or chill-out space. Geometrically stunning and simple to use, Supernova Orange emits a luxuriant orange glow that will gently illuminate and provide dramatic focus for any space. Each of its 18 tips is delicately edged with rows of pinholes which project playful patterns of light onto walls and ceilings. 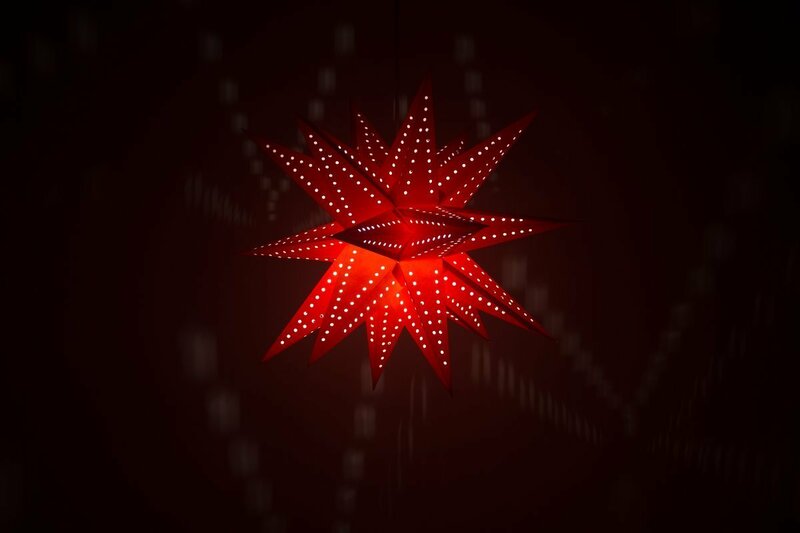 The light produced by Supernova Orange is low and atmospheric, making it a fantastic decorative mood light, but not best for reading. This flatpacked paper lampshade is as simple to use as it is stylish. Simply open it out like a concertina to reveal cleverly constructed tips which point in all directions. Two clips secure the shade over your light fitting.